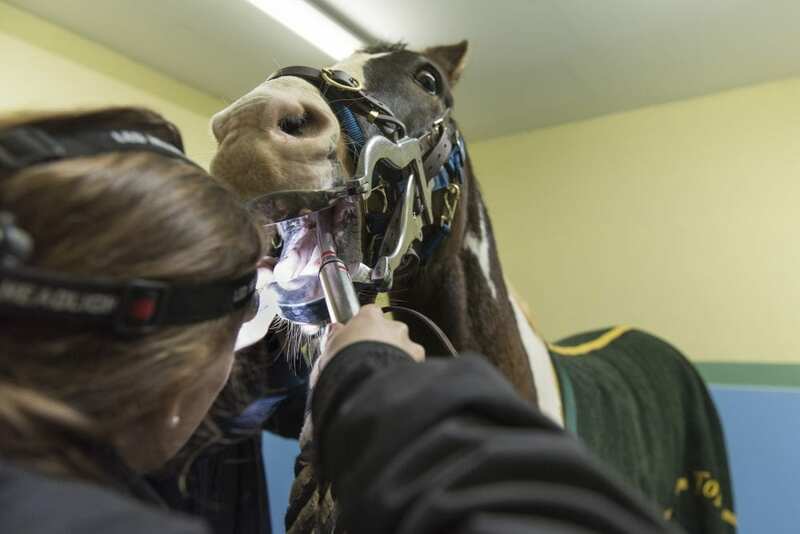 A comfortable mouth is crucial to allowing your horse to work at his optimum and all of our Equine Vets are very experienced in examining and floating teeth to ensure your horse is comfortable both now and in the future. Being Veterinary Surgeons gives us the option of sedating your horse if he or she finds their ‘visit to the dentist’ at all stressful and thus allows us to achieve the best result with a relaxed, happy horse. Wolf teeth extractions are routinely carried out ‘on yard’ whilst more complex cases (particularly non wolf teeth extractions) are brought into our surgery. For the cases requiring state of the art techniques we work closely with referral surgeons, particularly Dr. Chris Pearce MRCVS who visits our clinic on a regular basis.